After so many years, British rock group “THE VERVE” is back into the music mainstream with the release of their brand-new single “LOVE IS NOISE”. The verve which was actually on hiatus for the past 5-6 years is back with another single that’ll made noise in the UK music scene. 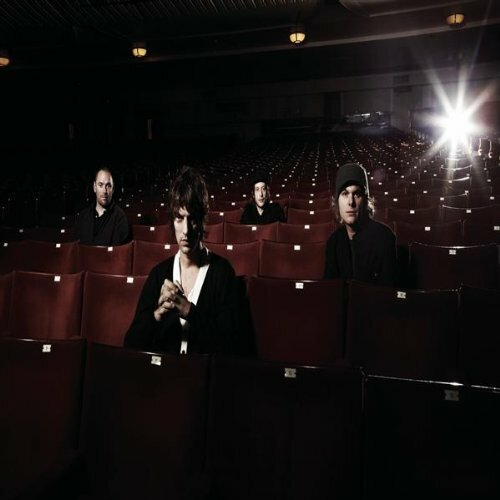 The Verve made headlines when they bashed the annual Glastonbury Music Festival held last June.Nobody knew whether they could they reproduce the shuddering space-rock and heart-swelling anthems of A Northern Soul andUrban Hymns after a decade in the wilderness, but they pulled it off with gusto. The band, most famous for their amazing chart-topping hit “BITTERSWEET SYMPHONY” will grace again the UK charts with their astounding and merely impressive “LOVE IS NOISE”. The single is set to be release on August 11 alongside with other releases from Hayden Panettiere, Jennifer Hudson, Noah And The Whale is a mix of a disco drum beat, an astonishing vocal effect and some typically cryptic lyrics (“Will those feet in modern times / Walk on soles that are made in China?”). The result is amazing, hypnotic and big enough for any stage in the world. It may have taken ten years, but this was well worth the wait. This entry was posted on August 3, 2008 at 5:34 am and is filed under Single Reviews with tags Glastonbury Music Festival, Love Is Noise, The Verve, Urban Rythm. You can follow any responses to this entry through the RSS 2.0 feed. You can leave a response, or trackback from your own site.